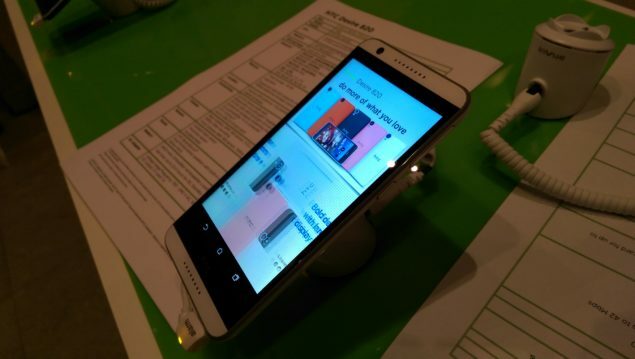 A new report has leaked specifications of the next generation HTC One M9. The major highlights of this leak include a 5.2-inches 2K screen and a better, stronger processor. HTC One M8, released this year, bears all the high-end specs including a 1080 x 1920 resolution 5-inches screen and a Snapdragon 801 Qualcomm processor with 2 GB of RAM and expandable memory. Next year we will see some improved specs including a 2K 1440 x 2560 resolution display and a Snapdragon 805 chipset. This will give the flagship HTC smartphone a new advantage in the display category with an amazing 564ppi pixel density as opposed to 441ppi of current HTC One M8. RAM will also see a little upgrade to 3 GB and HTC will be offering a 64 GB and another 128GB model. Improved water resistance, better camera, and of course Android 5.0 Lollipop will finish the device. Earlier we had seen a report claiming that HTC will produce a 5.5-inches phone in the phablet category. However, the latest leak suggest that the device dimensions will only be increased a little. Report also indicates that HTC One M9 will be released in Barcelona next year at the Mobile World Conference event.